Folks sorry for the delay in coming out with the LISTS. I was waiting to get the names tabulated from the huge number of recommendations that I received from the readers. The LIST is compiled based on the responses I received from the readers so as to eliminate any bias. First of all let me define a ‘Henpecked Husband’. A typical Henpecked Husband is the poor guy; he squirms under the thumb of a domineering wife, very likely a Grande Dame. Her word is law, and he can only obey, with a meek and humble, “Yes, dear.” We laugh at his misfortune, and maybe pity him a little. So based on this definition who are the Top Henpecked Husbands of 2011? From Delhi Robbie Mohan and Amit Burman got the maximum votes. 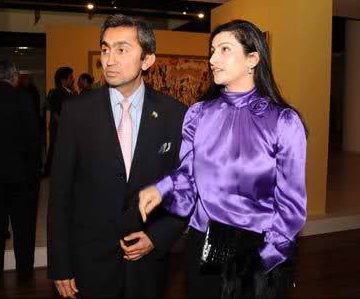 Robbie Mohan is married to Tanisha Mohan, who is a walking-talking billboard of Luxury Brands. Tanisha definitely wears the pants in the Mohan household and we have often seen Robbie meekly surrendering to his wife’s demands. It is a common sight at Page 3 parties where you can find Robbie holding on to Tanisha’s designer bag and her drink as she floats around schmoozing the crowd. High time Robbie takes things in his hands and stop being enslaved by his better-half. Amit Burman who runs a chain of succesful restaurants and also is the scion of the Dabur Group is in total control when it comes to running his vast business empire. 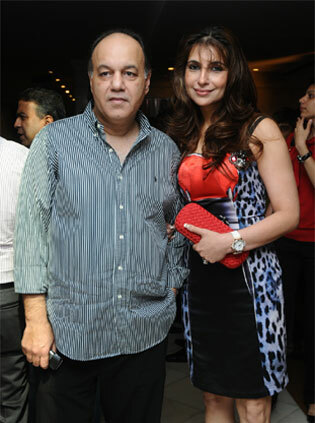 At home Amit plays the second fiddle to his demanding wife, Divya Burman. The names topping from Mumbai are that of Adi Godrej and Shahrukh Khan. Adi Godrej of Godrej Industries may be the boss-man at his office but back home it is his wife , Parmeshwar Godrej who calls the shots. I still couldn’t get over the image of Adi holding on to the umbrella and Parmeshwar’s clutch as they walked in to the premier of Robot when it was pouring cats and dogs. From the readers I have learnt that Pam’s word is law at the Godrej household and poor Adi has to fall in the line to whatever Parmeshwar decides. Most readers of this Blog claim that Shahrukh Khan is the most henpecked husband in the history of India. Gauri wears the pants and pockets all the money that SRK rakes in. In an interview SRK said that Gauri loves to buy things and if anything gets “used” at all she marches out an buys another expensive item right away and tosses the old one, and does this many times daily. No wonder SRK is always in a rush to make money and more money and probably that’ s the reason why he dances at weddings. Even with the Priyanka Chopra episode, Gauri gave an utlimatum to Shahrukh to stay away from her. In fact Gauri had the last laugh by inviting Priyanka to the Diwali bash and then ensuring nobody talked to her. Poor SRK was just a meek audience to all this tamasha. 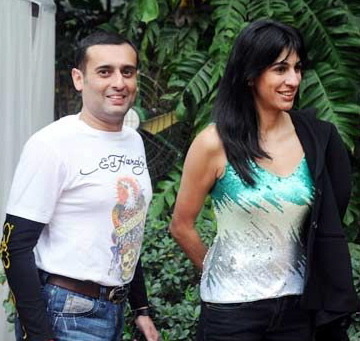 The other close contenders to the Top Henpecked Husbands of 2011 were Sanjay and Shalini Passi, Arjun Rampal and Raj Kundra. I am sure you don’t need explanations for them! Sanjay Passi has no qualms of Shalini being linked up with other men. Mehr Jessia Rampal almost ruined Arjun Rampal’s friendship with SRK by openly voicing her discontent on how Arjun’s role in Ra-One was chopped by Shahrukh Khan. About Raj Kundra, well Shilpa Shetty will soon make Raj go bankrupt. TANISHA MOHAN is a one trash publicity bhukhi lady who can go to any extent just to get noticed and get photographed in page-3 parties ! such despo woan r big burden for husband ! well i guess mehr was worried abt the love relationship between srk and arjun ! Is Kumarmanglam Birla really gay, like Yash Birla? Yep! Both the Birla brothers are gay. KMB is much more discreet about it compared to YB. KMB was spotted recently at an exclusive night club frequented by gays. Madhuri Dixit’s hubby tops the list of henpecked husbands. For gods sake the guy spent countless hours of his life studying to become a cardiologist, lived all his life in California does not understand a word of hindi and then chucked it all up so that his wife can do saas bahu TV? this guy is beyond me. Why the hell is Tanisha Mohan considered such a celeb page 3? What is her claim to fame? Now I also see more henpecked husbands accompanying their wives- Manu Mamta is one example. So is Meenakshi Sud Dutt’s husband. 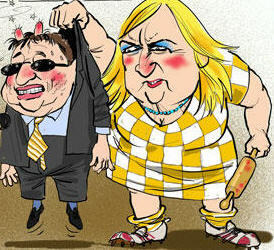 I wonder, don’t these husbands have any jobs or work but to be tied to their fat wive’s pallu and be tagged all around. Makes them look so henpecked, unemployed and jobless. They are not even good looking couples. They come from some where in west Delhi, trying to mix with South Delhi and be a part of South Delhi. Raj Kundra takes the cake and icing. He married the nearly over the hill, no talent, Cgrade star. He is spending a fortune to show he married into royalty. IPL riddled with black money, must be a steep losing investment, the food venture he invested for the wife is in deep doodoo, and at his rate the poor guy made such a dead investment in a flop actress whose career he can never promote. He will soon be toast.